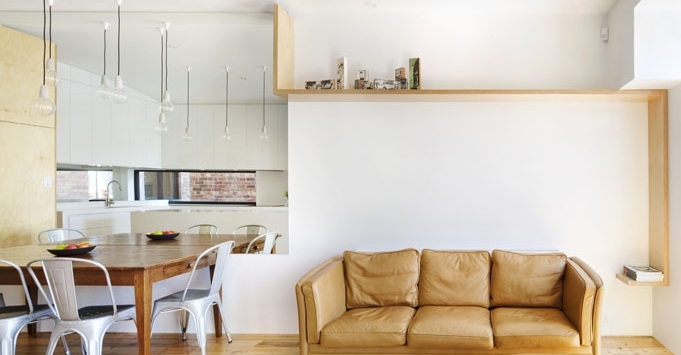 I love plywood – it’s simple, cheap and looks great in modern interiors. It gives warmth to cold grey colour. I like it combined with concrete. I’m totally impressed by Nic Owen Architects – Australia based group that loves plywood and use this material in most of their interior design projects. Just look at the perfect finishes. All-wood: Kino Wood Lamps by Emmanuel Gardin for Linadura are made by bending thin sheets of birch plywood into organic forms, resulting in light diffused by wood. Lajeunesse Residence, a single family home in Montreal, designed by Naturehumaine. If you’re thinking about cup of coffee now, this interior will enjoy your senses and soul. You could almost inhale the aroma of freshly ground coffee, as the space replicates the textures and colors of nature.